Traditionally, buying a home in a community in Judea and Samaria was considered a “political statement,” but in the current atmosphere of astronomical real estate prices throughout the entire country, the only statement Israelis are making today is about how they are searching for reasonably priced housing – something still available in many communities in Judea and Samaria. 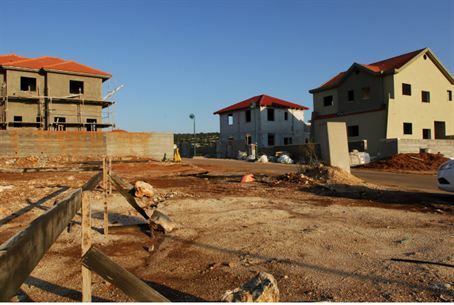 Speaking to Arutz Sheva, attorney Neta Cohen-Salman, who has represented many homebuyers in Judea and Samaria, said that an important trend had developed among newly-married couples and young families seeking an affordable, quality of life community, to make their homes in Judea and Samaria for strictly economic reasons. “Many young couples have despaired of the high prices of apartments, but they are still seeking something to call their own, at an affordable price,” Cohen-Salman said. One good example, she said, was Ariel, where there were still plenty of four room apartments under NIS 1 million, and as low as NIS 750,000 – while the price for similar homes in nearby Petach Tikvah could be as much as double for the same sized home. In Alfei Menashe, just minutes away from Kfar Sava and Rosh Ha'ayin, has attached cottages available for NIS 1.5 million – barely half what they cost jut a few kilometers away, in Kfar Sava. And in Ma'ale Adumin, just seven minutes away from Jerusalem, four room homes are going for NIS 900,000, far less than the NIS 1.6 million. Many communities in Judea and Samaria have English-speaking neighborhoods, making them perfect for new immigrant families. The prices, said Cohen-Salman, were just one reason to move to Judea and Samaria; the quality of life, personal safety, and job and educational opportunities.